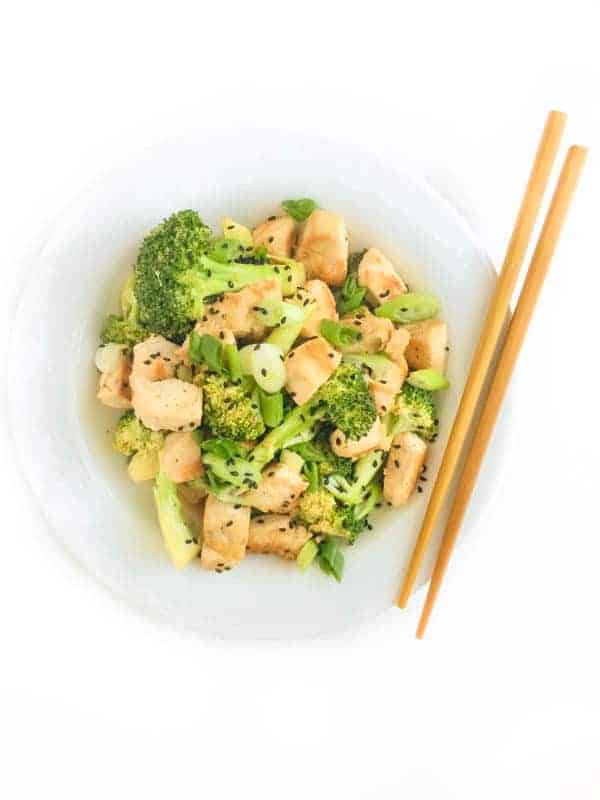 Stir-fry is a fast and easy weeknight chicken recipe that your whole family will love! Have you had your 9 servings of fruits and vegetables today? 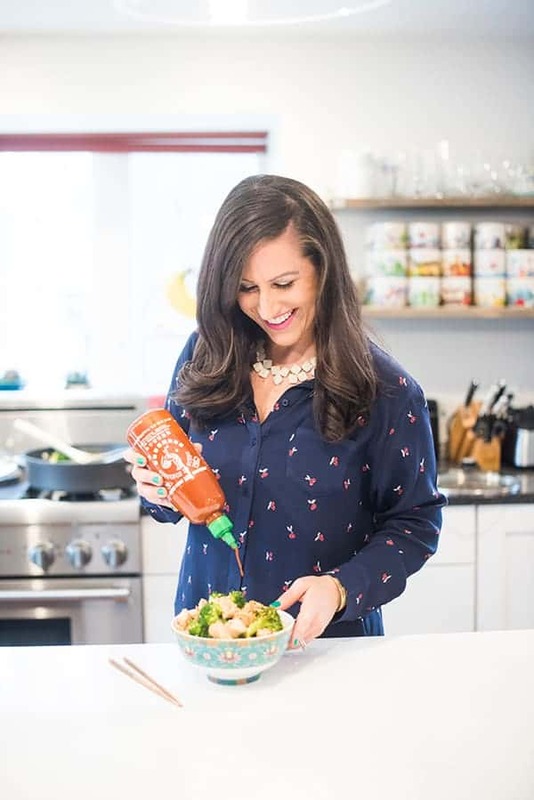 Stir frying is the perfect way to fill your family’s dinner plate with any veggies sitting in your refrigerator. As always, my recipe today is more about the method than the specific ingredients. 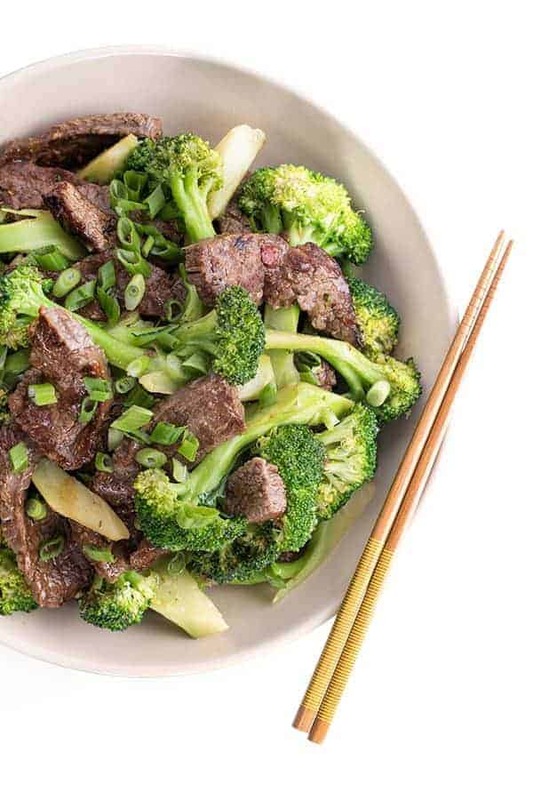 Broccoli, scallions and zucchini happened to be in my veggie drawer this week but this would work just as well with red peppers, asparagus, green beans or summer squash. 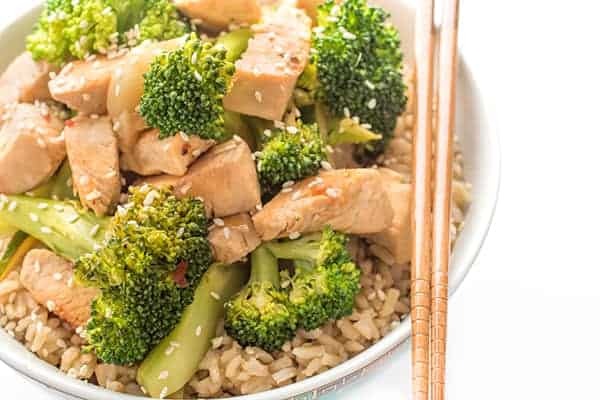 Brown rice is always a delicious side but at my dinner table, we actually prefer to eat stir fry with nori seaweed sheets. (Do you love eating spicy tuna or California rolls? Those both contain nori seaweed sheets!) Working very quickly, we turn a small gas burner on low and gently glide each sheet across the flame. By toasting the sheets, the flavor is released and enhanced to the next level. 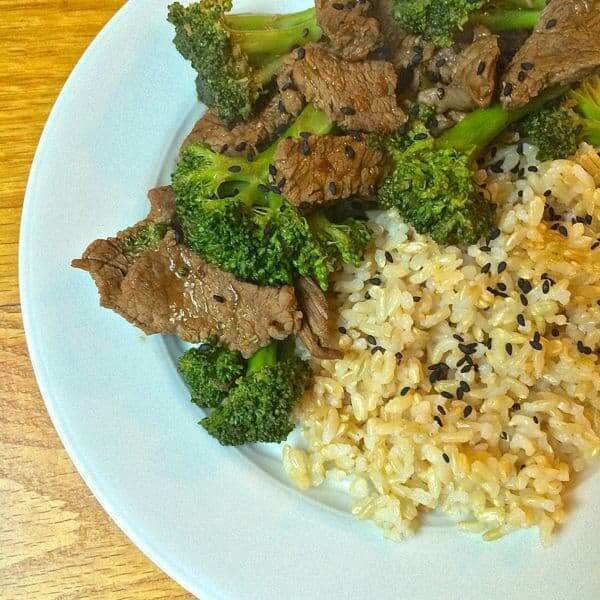 Instead of using a fork, we’ll rip off a section of the seaweed and form a little scoop for the stir fry. (Think scooping hummus with pita bread.) Ice burg lettuce works just as well! You can even create a little dipping sauce by combining soy sauce, rice vinegar, scallions and sesame oil. What veggies are sitting in your fridge? Heat a large skillet or wok over medium high heat and spray with non-stick spray. Add chicken seasoned with salt and pepper and cook 5-7 minutes until chicken is browned, stirring frequently. While chicken is cooking, whisk together last 7 ingredients (broth through rice wine vinegain a small bowl; reserve. When chicken is browned, remove from pan and set aside. In the same pan, add onion and saute 2-3 minutes. Add zucchini and saute additional minute or two. 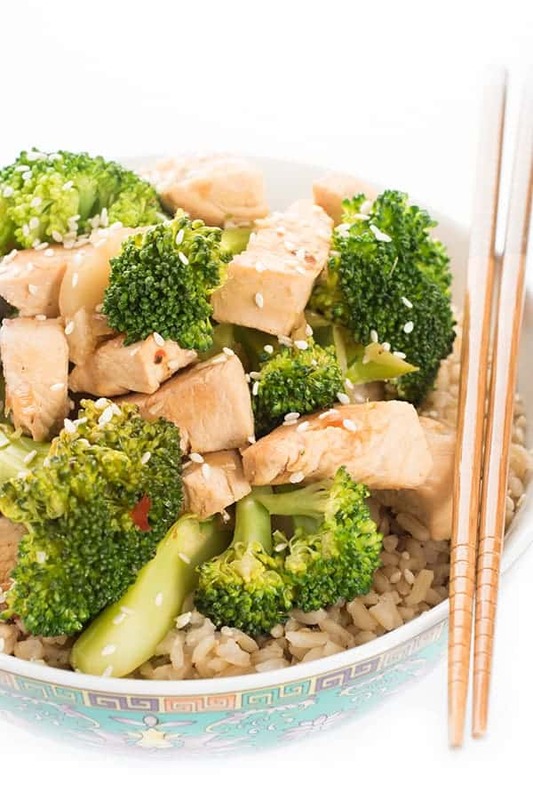 Finally, add broccoli and the sauce you made earlier. Bring to a simmer and cover pan, allowing broccoli to steam about 5 minutes. Return cooked chicken to the pan and heat 5 additional minutes before serving. Serve with toasted nori seaweed, ice burg lettuce cups or brown rice. Excellent source of Vitamin C, good source of Vitamin A, calcium and iron. 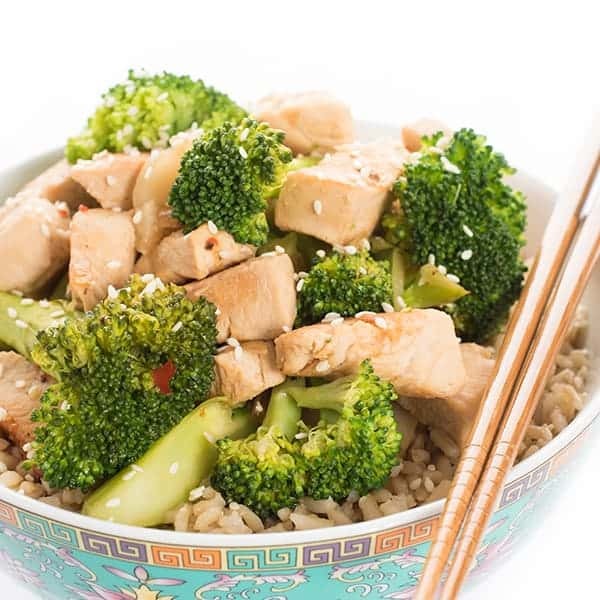 Want more healthy and easy dinner recipes? Check out my Pinterest board! I hope you try it Shawnna! !